A WSU College of Nursing student takes Dew Warnock’s blood pressure at the Healthy People + Healthy Pets clinic at WSU Health Sciences Spokane on Nov. 9, 2018. Photo by Cori Kogan. 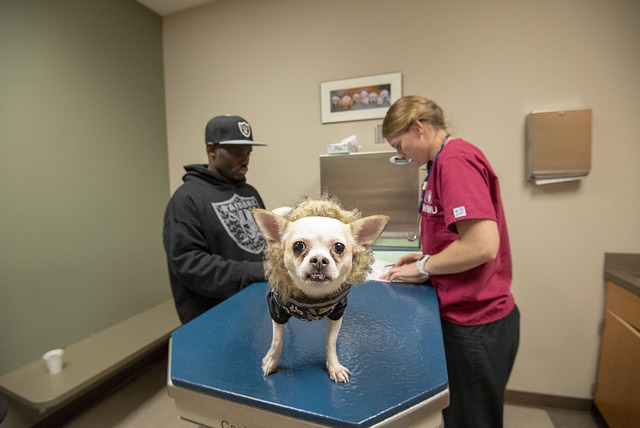 “People are more concerned about their animals than themselves,” said Joyce Griffin-Sobel, dean of the WSU College of Nursing, as she supervised a coat fitting for Jasmine, a terrier. The event “is my favorite day of the year besides Christmas,” Griffin-Sobel said. Tigger was one of the four-legged patients at the Healthy People + Healthy Pets clinic at WSU Health Sciences Spokane on Nov. 9, 2018. Photo by Cori Kogan. 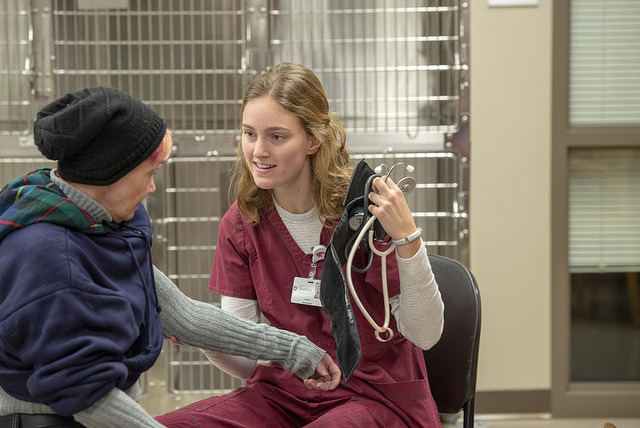 MultiCare chose Healthy People + Healthy Pets for support this year – the fund’s first year in the Inland Northwest – because it helps the homeless and increases access to health care, said Christopher Wherity, Director of Community Outreach. 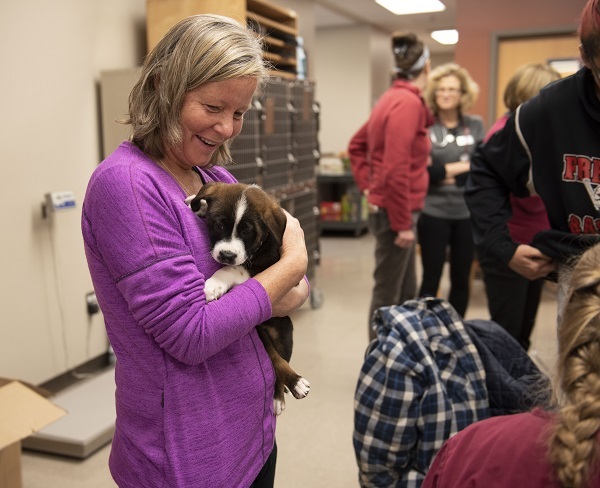 WSU College of Nursing PhD student and teaching assistant Sheila Hurst holds a puppy as its owner was getting vaccinations. Photo by Addy Hatch. 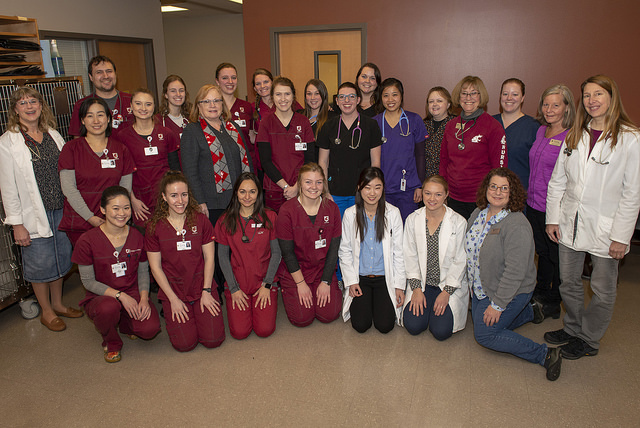 Students and faculty from the WSU Colleges of Nursing and Veterinary Medicine took part in the second Healthy People + Healthy Pets clinic. Photo by Cori Kogan.